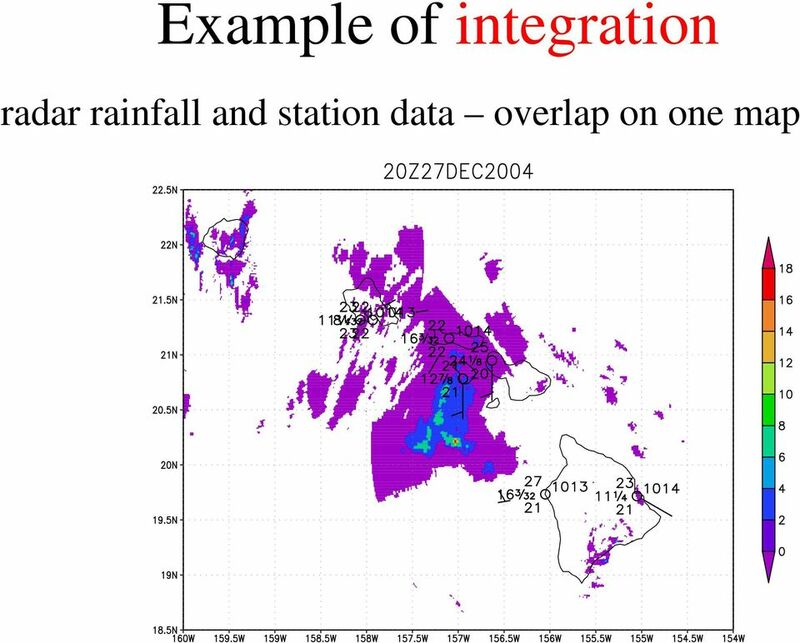 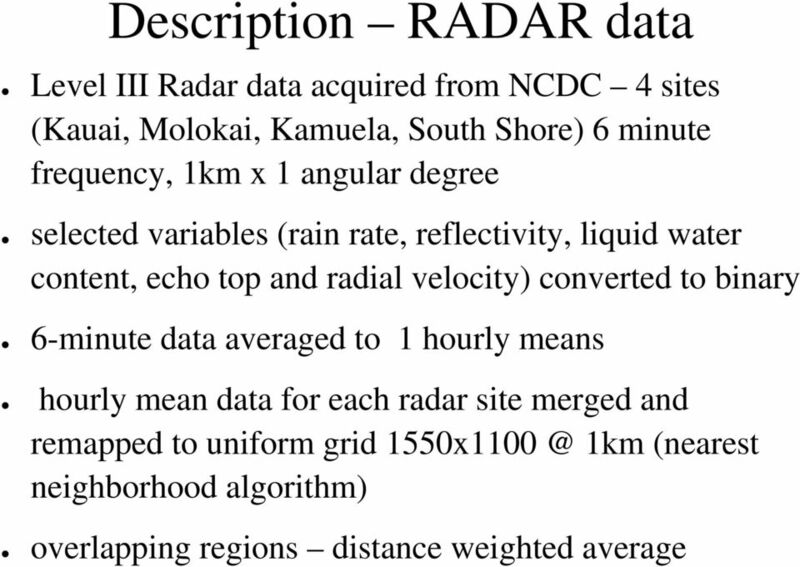 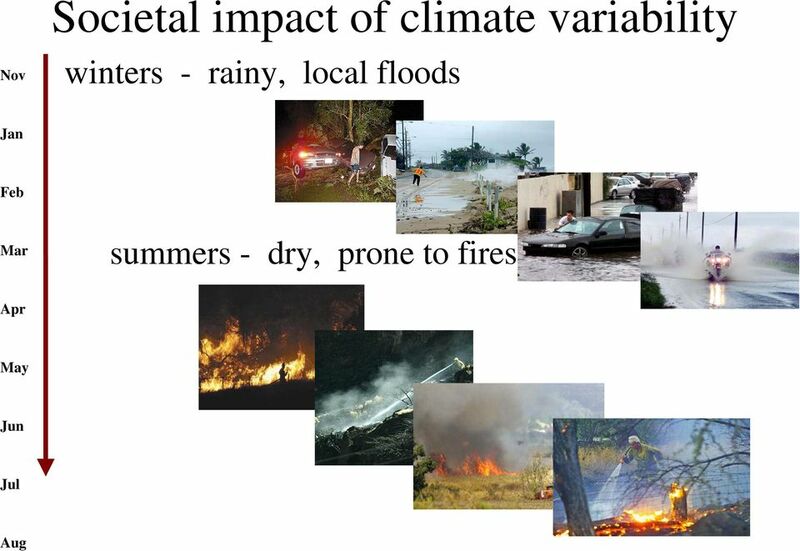 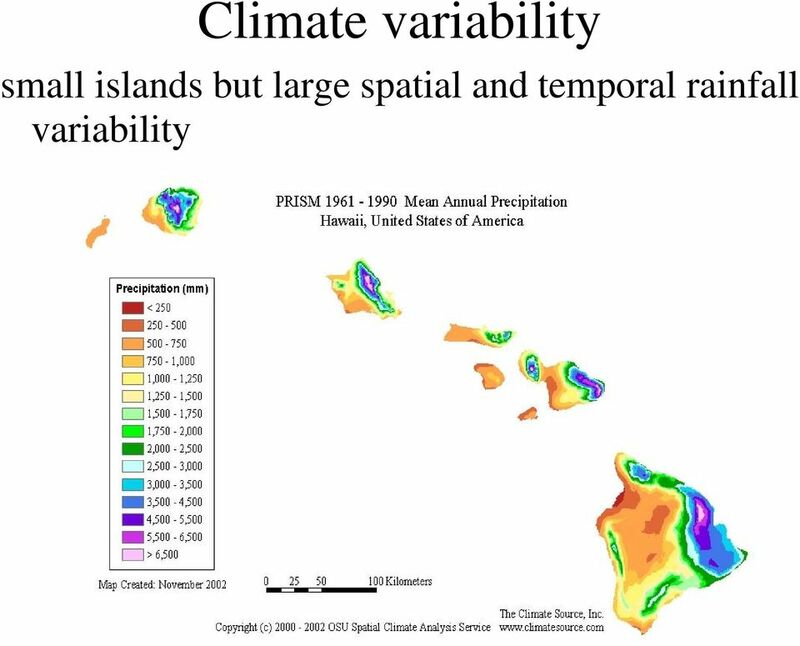 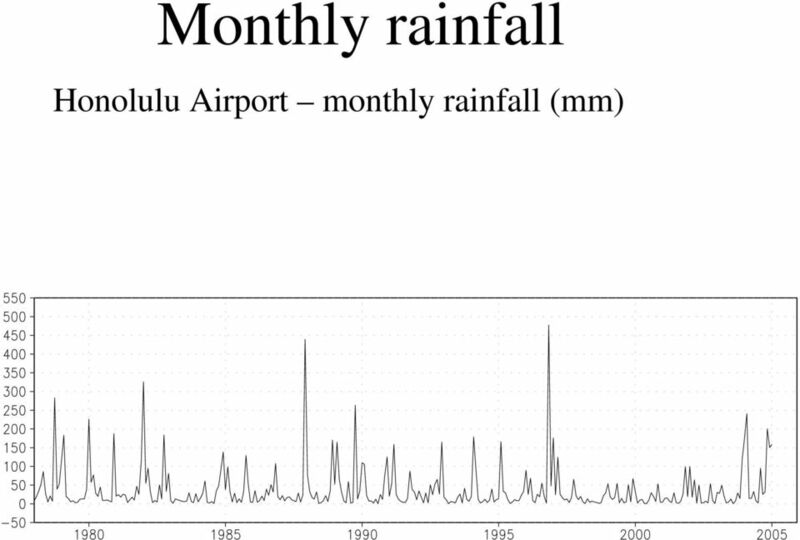 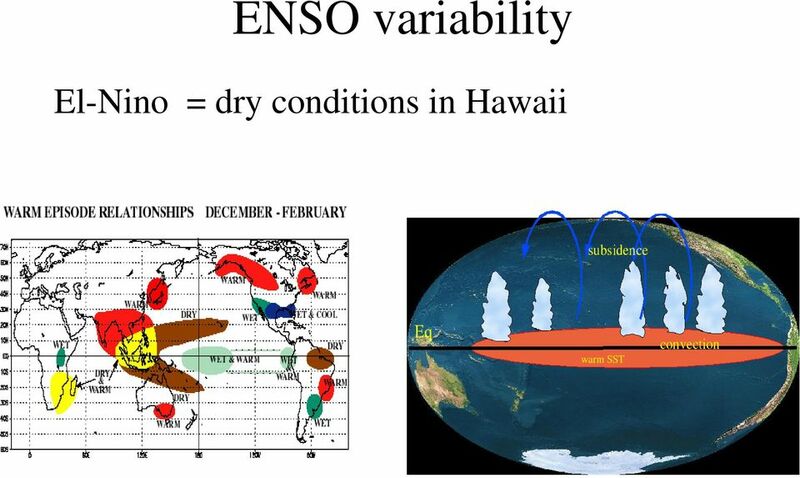 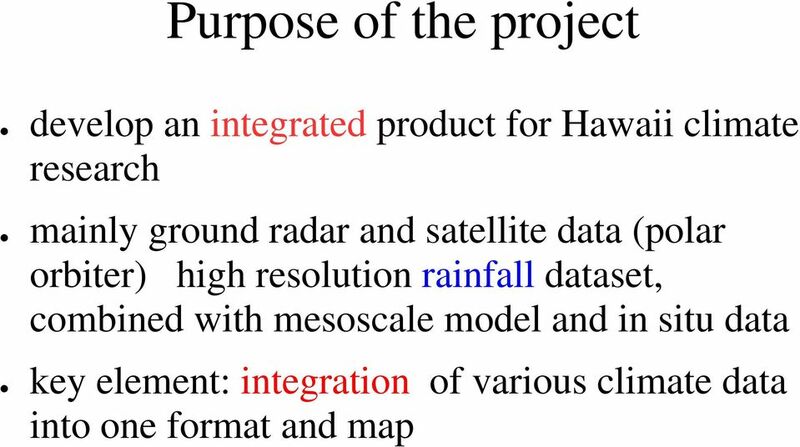 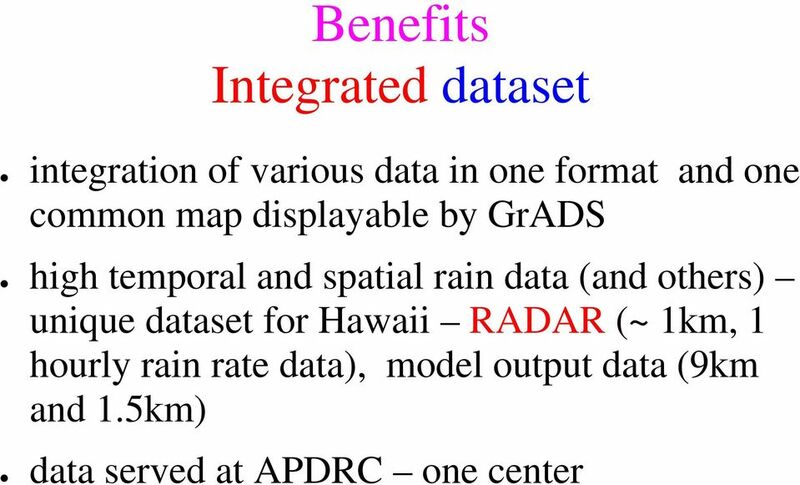 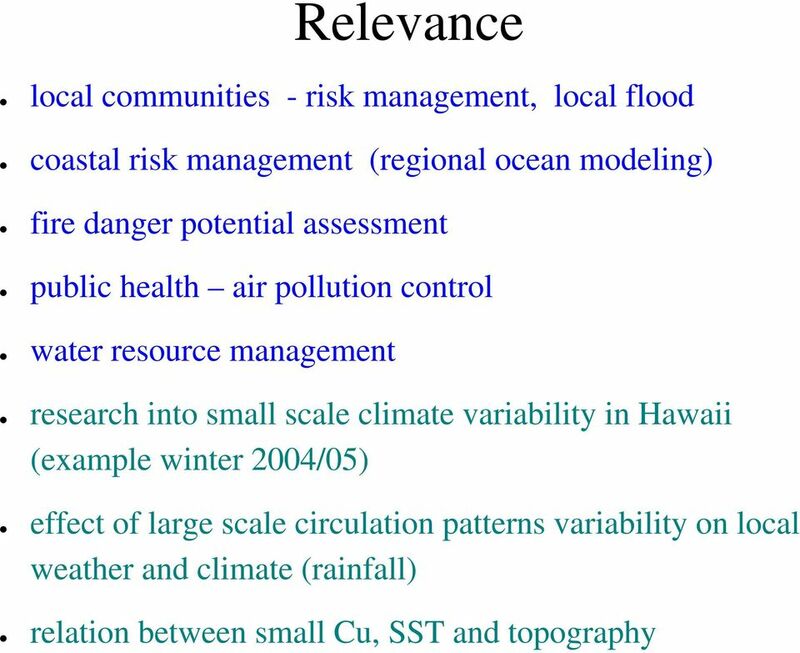 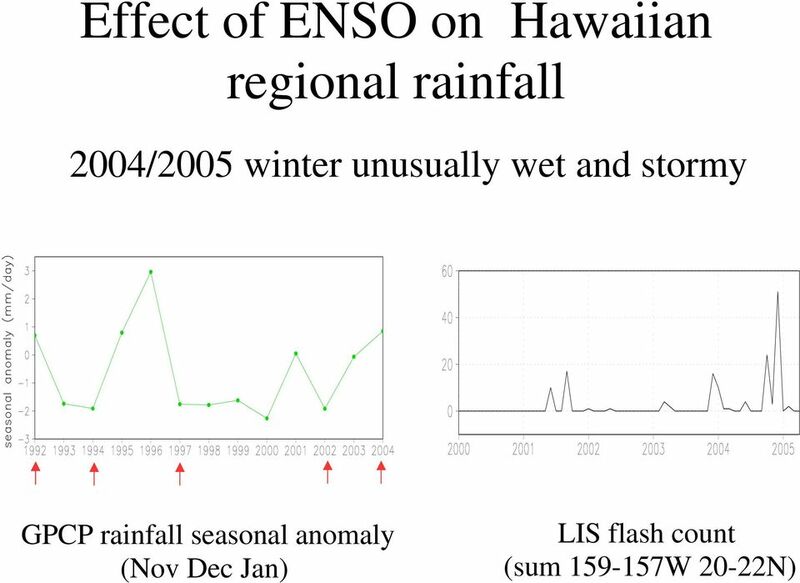 Download "Development of an Integrated Data Product for Hawaii Climate"
Forest Fire Information System (EFFIS): Fire Danger D Rating Rapid Damage Assessment G. Amatulli, A. Camia, P. Barbosa, J. San-Miguel-Ayanz OUTLINE 1. 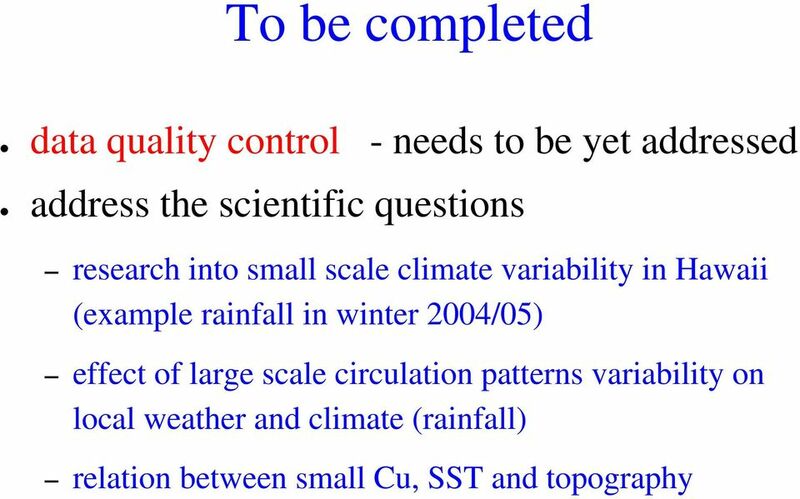 Introduction: what is the JRC 2. 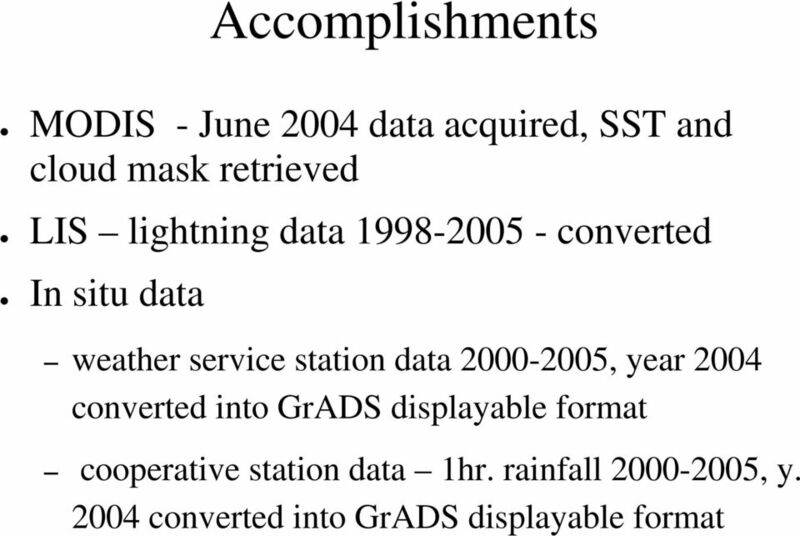 What is EFFIS 3. 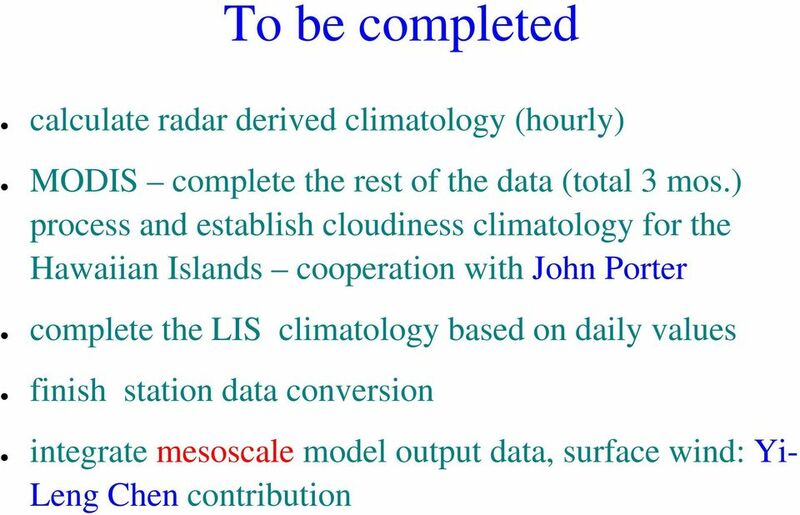 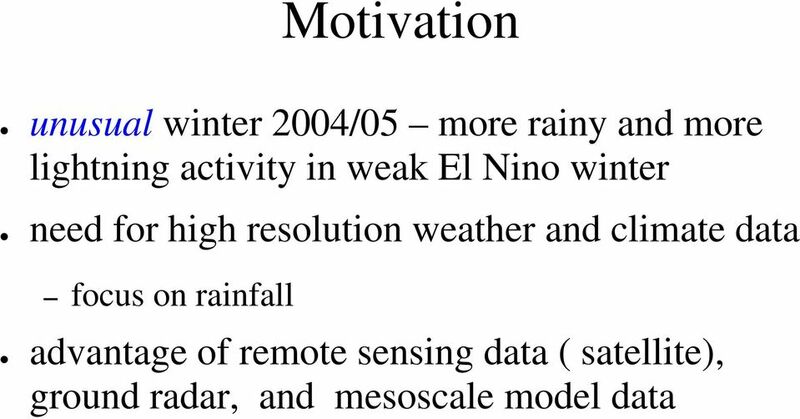 Forecasting Solar Power with Adaptive Models A Pilot Study Dr. James W. Hall 1. 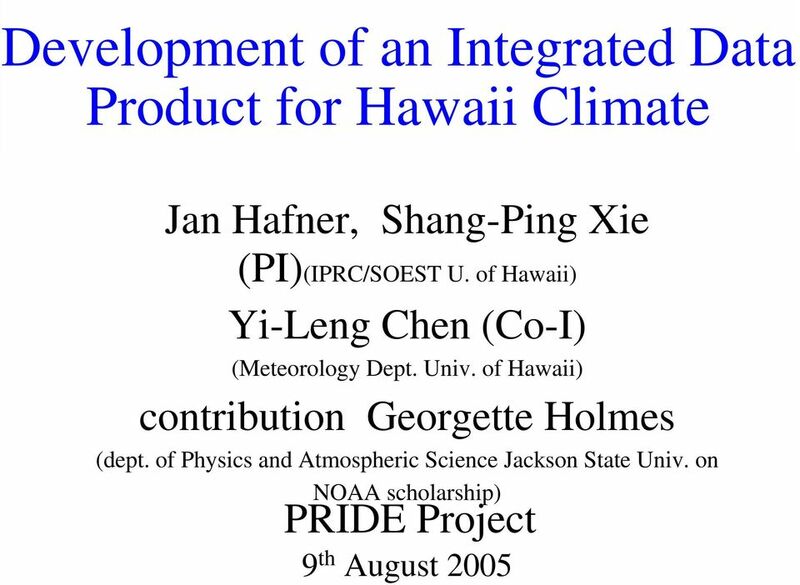 Introduction Expanding the use of renewable energy sources, primarily wind and solar, has become a US national priority. 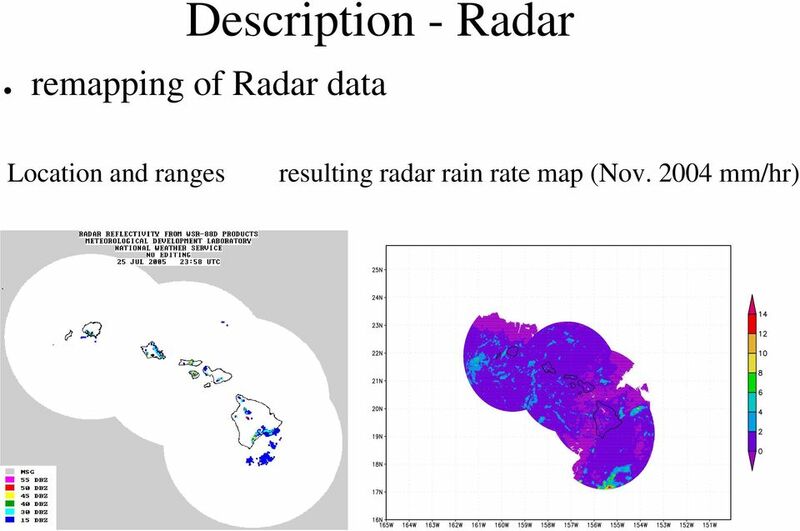 Welcome to NASA Applied Remote Sensing Training (ARSET) Webinar Series Introduction to Remote Sensing Data for Water Resources Management Course Dates: October 17, 24, 31 November 7, 14 Time: 8-9 a.m. 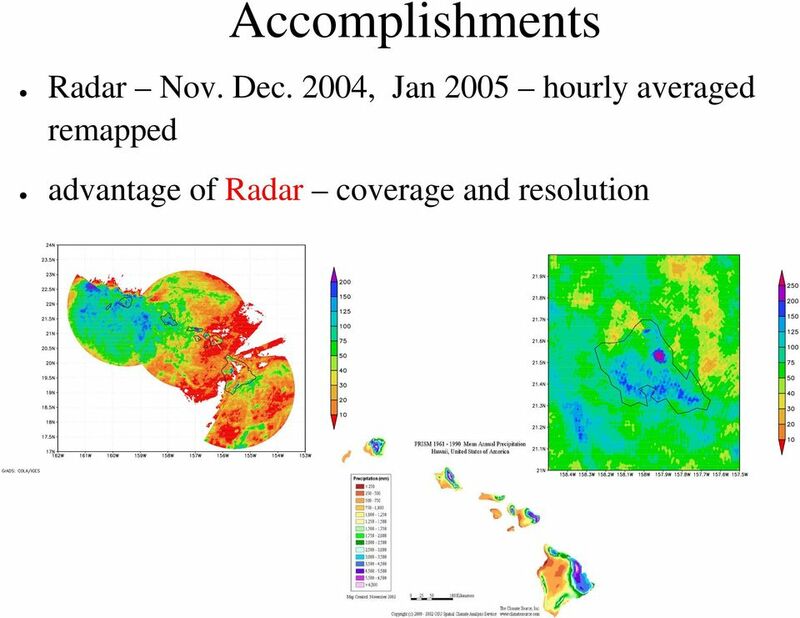 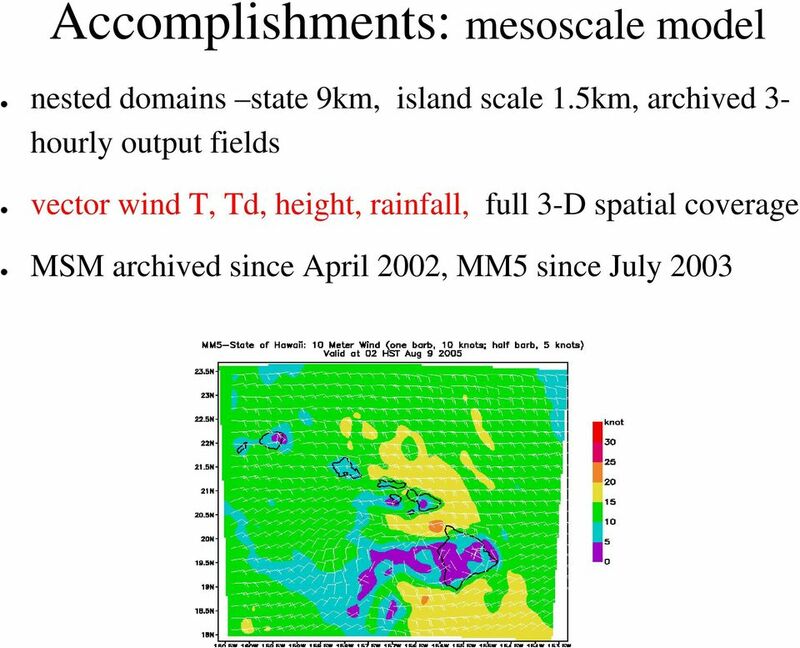 Wide Area Persistent Scatterer Interferometry: Algorithms and Examples Nico Adam, Fernando Rodriguez Gonzalez, Alessandro Parizzi, Werner Liebhart with contributions of Ramon Brcic and Xiao Ying Cong ca. 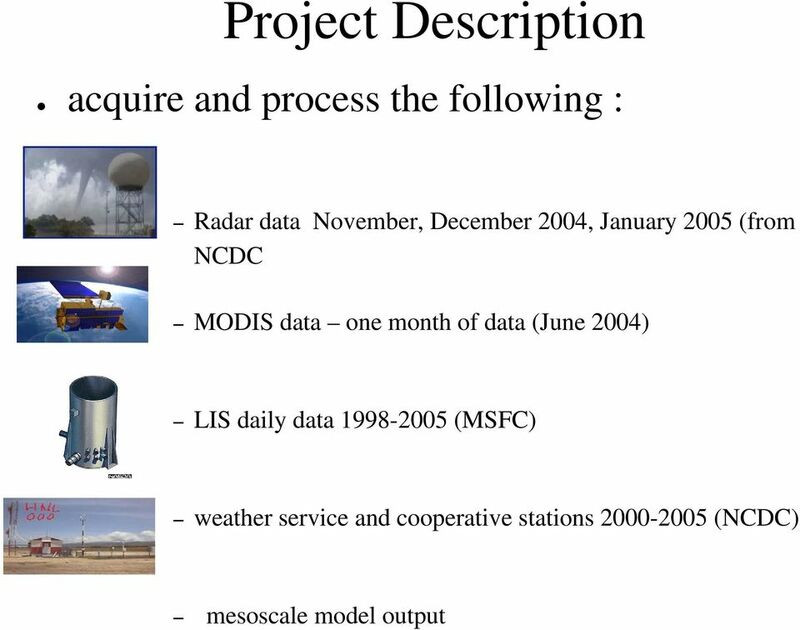 I n t roduction to Weather Derivatives by Geoffrey Considine, Ph.D., Weather Derivatives Group, Aquila Energy Introduction The first transaction in the weather derivatives market took place in 1997 1.